As far as research on the coin market goes, people have always been of the view that purchasing a silver dollar is easier than selling it. The fact that purchase always comes as a choice and sell always requires establishment of facts, makes the sale of precious items a lot difficult. Silver dollars being one of the remarkable signs of investment have an open market dealing in rare and precious coins. But the bullion traders and investors only pick the coins and pay for them based on their value. Not all silver dollars hold a big value. It is more about the composition than the design. It is also a lot more about time than the market you are looking for. If you truly hold a silver dollar that is authentic, from a recognized time in history and has a good composition – your coin has a determined value. To know more about the coin you hold, you should take it to the pawn shops, accredited sellers and numismatic calculators to find out the real coin worth. It is not difficult to find out the facts about a coin. One just needs to get a study of it. Mostly it is established by reading the coin from bare hands. If the metal is pure and authentically silver and has a time period of minting listed on them you can always refer to a credible source and find out the origin and importance of it. And if it is established that it is in fact a valuable collection, finding a market for selling it won’t be a struggle. Popular silver coins to sell! Most of the rare silver dollars, gold coins etc have been listed by the regulated bullion dealers, government and the solicited buyers. Press releases and posts on the internet are made quite often to update the world of rare coins and their value. You can search for the list and match up with them to evaluate if the coin is listed on the popular sheets. Updated lists of silver dollars in demand are raised on a regular basis for people to find out and sell their coins at credible prices. 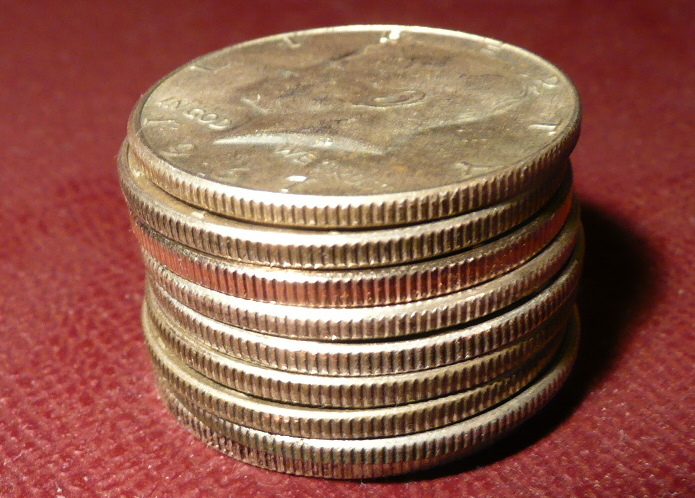 Silver dollar holds a market for selling but requires calculation of numismatic value. Once the significance and craft of the coin is found, it is easier to sell them off to credible buyers at the right prices.